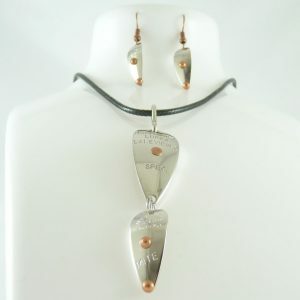 Specialist Necklace w/ Earrings Combo – Nickel w/ Copper Accents – Hofmann's Lures Inc.
Hand-made necklace and earrings using authentic Hofmann’s spoons. 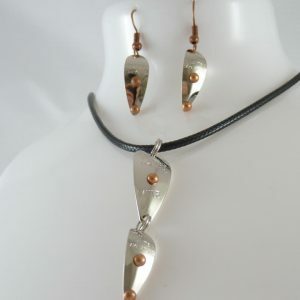 Hand-made necklace and earrings using authentic Hofmann’s nickel spoons with copper accents. 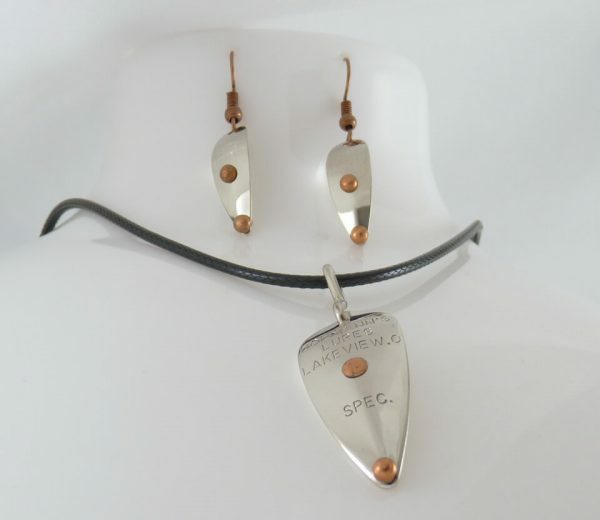 Necklace uses Hofmann’s Specialist spoon and the earrings use the Flyrod spoon. 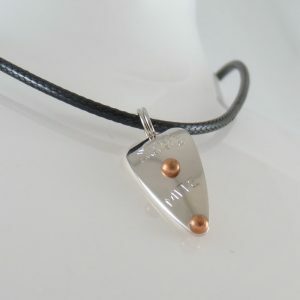 Leather Cord Rope Necklace chain with Lobster claw clasp approximately 18 1/2 inches long. 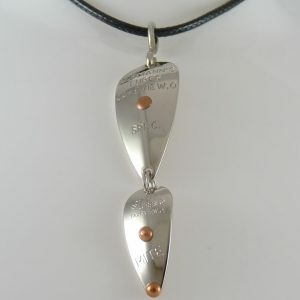 Hand-made necklace using authentic Hofmann’s Mitey-Mite spoons. 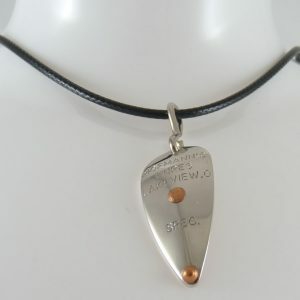 Hand-made necklace using authentic Hofmann’s Mitey-Mite and Frizz Flyrod spoons. 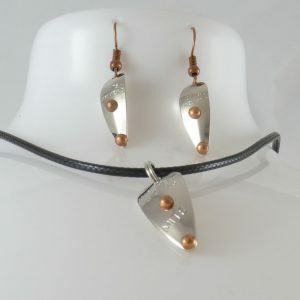 Hand-made necklace using authentic Hofmann’s Specialist spoons. 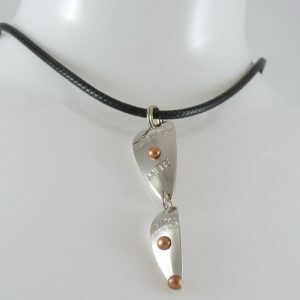 Hand-made necklace using authentic Hofmann’s Specialist and Mitey-Mite spoons. 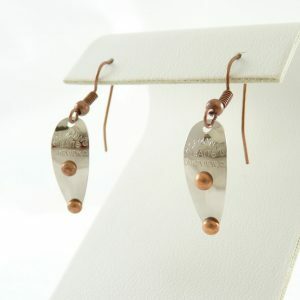 Hand-made earrings using authentic Hofmann’s Flyrod spoons.